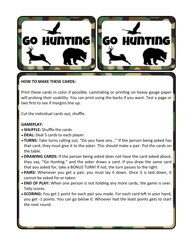 Get this fun REMIX of the classic card game GO FISH! 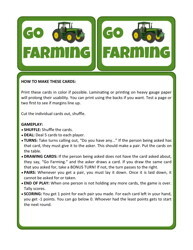 This version has 36 farm themed cards: 18 pairs of different veggies. Rules are included. 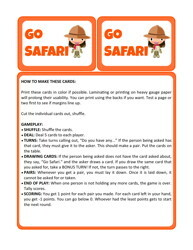 Print 9 cards per page, laminating and in color if possible. Card stock or heavy paper is a plus! 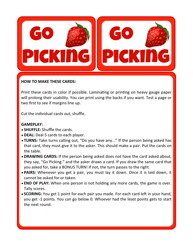 Get this fun REMIX of the classic card game GO FISH! This version has 36 ocean themed cards: 18 pairs of different ocean creatures. 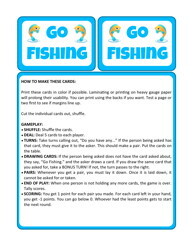 Get this fun REMIX of the classic card game GO FISH! This version has 36 wildlife themed cards: 18 pairs of different animals.